Tonight's WWE RAW from Des Moines opens with Michael Cole welcoming us. He's joined by Corey Graves and Jonathan Coachman. Cole hypes tonight's Roman Reigns vs. Bray Wyatt Elimination Chamber qualifier. 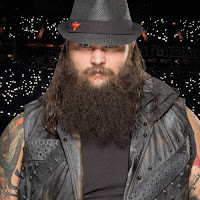 We cut backstage to Wyatt, who laughs and says the Elimination Chamber is upon us, the home of his greatest victory when he won the WWE Championship. Standing in the way of repeating his destiny is his nemesis, Roman Reigns. This once great warrior has fallen so far that the world does not recognize him. 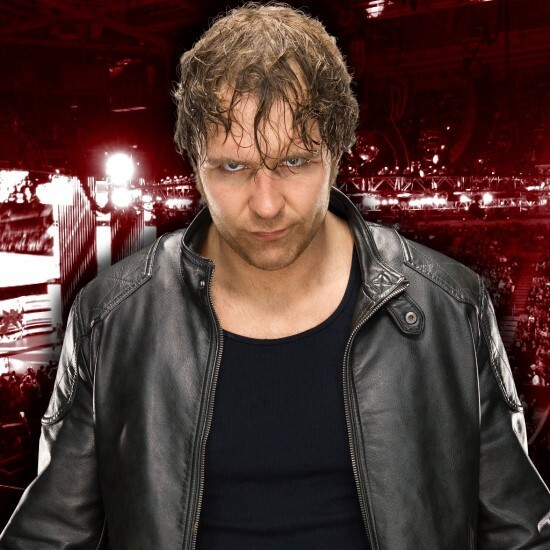 He lost the Royal Rumble and Intercontinental Title, but he maintains his bravado. Bray says he sees Roman for what he is, a failure waiting to be put out of his misery. Bray says he is happy to oblige. Roman will find out that at the bottom of that spiral is something worse than failure... him. We get Roman Reigns' response. Roman says Bray thinks he is a failure waiting to be put out of his misery. A failure is something who cannot deal with adversity and he cannot get up when he is down. Roman says his journey to Wrestlemania starts tonight. He goes to the Elimination Chamber and then he goes to Wrestlemania to face Brock Lesnar and become the next Universal Champion. We go right to the ring as Bray Wyatt makes his way out. Roman Reigns is out next to a very mixed reaction. They lock up and Wyatt with a clean break. They lock up again and Wyatt with a kick and side head lock. Reigns with a shoulder tackle. Bray is sent into the turnbuckles and he leans back and it freaks out Roman. Wyatt goes to the turnbuckles and Roman with an uppercut. Roman gets Bray on his shoulders but Bray gets to his feet and Roman charges into the corner. Wyatt side steps Roman and Roman goes shoulder first into the ring post. Wyatt gets a near fall. We see Matt Hardy starting at a monitor in the back. Wyatt with a reverse chin lock. Reigns with punches followed by two clotheslines and a flying clothesline. Reigns sets for the broad jump drop kick but Wyatt counters with a clothesline and he sends Reigns into the ring steps as we go to commercial. We are back and Wyatt with a rear chin lock. Roman gets back to his feet and he gets Wyatt on his shoulders for a Samoan drop. Roman with NeverEnding Story in the corner but Wyatt blocks it and goes for a uranage but Roman escapes. Wyatt with a flying cross body and he gets a near fall. Wyatt puts Roman on the turnbuckles and connects with an uppercut. Wyatt sets for a superplex but Roman blocks it. Roman punches Wyatt off the turnbuckles but Wyatt chops Roman. Wyatt tells Roman 'anyone but you' and Roman with head butts and then Roman hits a sit out power bomb for a near fall. Reigns sets for the Superman punch but Wyatt blocks it and hits a uranage and follows with a back senton but Wyatt can only get a near fall. Wyatt sets for Sister Abigail but Roman counters with a rollup for a near fall. Roman with a Superman Punch for a near fall. Reigns looks at the Wrestlemania sign and then he sets for the spear. Wyatt with a boot followed by Sister Abigail but Wyatt can only get a two count. Wyatt with forearms to the back of the head. Wyatt sets for another Sister Abigail and Roman powers out of the hold and Reigns with a spear for the three count. Roman joins Braun Strowman, Elias, and John Cena in the Elimination Chamber Match. After the match, Reigns stands tall and celebrates as we go to replays. We come back to Reigns heading up the ramp as we see the WrestleMania 34 banner hanging high. Matt Hardy suddenly hits the ring and waits for Wyatt to get up. Matt lays Wyatt down with a Twist of Fate and celebrates, getting a "delete!" chant going as his music hits. Seth Rollins talks to Jason Jordan in the locker room and he wants to know if Jason is 100 percent and that he will not do what he did the last time since this is the last time the face the Bar. Jason says he is medically cleared and good to go. Seth says it is not about Seth or Jason, it is about what they can do together. He tells Jason tonight they take back their tag TEAM titles tonight. - Still to come, Jordan and Rollins vs. The Bar. Also, John Cena vs. Elias vs. Braun Strowman to determine the final Chamber entrant. Back to commercial, including promos from Mandy Rose & Goldust and Naomi & SmackDown Tag Team Champion Jimmy Uso to promote this week's Mixed Match Challenge bout. Back from the break and we see Karl Anderson and Luke Gallows wrapping their entrance. 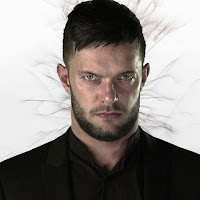 They wait at ringside as Finn Balor comes out to join them, completing The Balor Club. The Revival are out next for a singles match, Scott Dawson and Dash Wilder. Dawson takes the mic and says he and Dash are The Revival, in case we haven't been paying attention. Dawson says they are tag team specialists. He and Dash are shadows. Dawson proposes a tag team match for tonight and Dash agrees. Dash tells Balor to choose one of his little Club buddies so The Revival can show them how it's done. The Balor Club talks it over and we've got a tag team match now. Anderson starts off with Dash but Dawson immediately tags in and they go at it. Dawson takes control in the corner and works Anderson over. Dawson blocks a hip toss and drops Anderson with a shoulder. Anderson turns it around and takes down Dash as he runs in. Balor hops in and they double team both members of The Revival, clearing the ring. Anderson and Balor do the "too sweet" as they stand tall in the ring. We go to commercial. We are back and Dawson with an arm bar on Balor. Dawson tries to keep Balor from making his way to the corner and he backs Balor into his own corner. Balor sends Dawson to the floor after Balor knocks Wilder off the apron. Wilder makes the tag and he runs Balor into the turnbuckles. Dawson tags back in and he punches Balor. Dawson with an arm bar. Balor with a double stomp and Wilder and Anderson tag in. Anderson with clotheslines followed by a flying boot. Dawson is knocked off the apron. Anderson with a running knee into the corner and then he hits a neck breaker off the turnbuckles. Wilder with a side head lock and Dawson holds on and makes the tag. Anderson with a spinebuster for a near fall. Wilder is sent to the floor and Balor tags in. Anderson with a pescado onto Wilder on the floor. Balor with Slingblade followed by a running drop kick and Coup de Grace for the three count. We see Sasha Banks watching her match from last week against Asuka and she is not happy. Bayley stops by to bring some sunshine. Sasha says she will continue watching this match because she came close to beating Asuka. She needs to show why she is the boss and she knows she can beat Asuka. Bayley asks for advise on how to beat Asuka but Sasha will not reveal her plans. Sasha says if she is put in the Chamber match, she will beat Alexa for the title and she will end Asuka's streak.Bayley says she was thinking the same thing and Sasha asks if Bayley was thinking that Sasha can beat Asuka. Bayley says she can beat Asuka and since she knows she can beat Sasha, she can beat Asuka. We go to commercial. - We are back and Drake Maverick join the announcers for the next match. Nese and Ali start off and Nese with a forearm and he sends Ali into the corner and connects with punches. Ali with a head scissors and Alexander tags in. Cedric with a drop toe hold and Ali with a drop kick. Nese drops Alexander on the top rope. Nese with a near fall. Gulak tags in and he hits a jumping double sledge to the back. Gulak gets a near fall. Gulak sends Alexander to the apron and Nese puts Alexander on the top rope for a clothesline and he gets a near fall. Nese tags in and he applies a body scissors. Nese with a waist lock and he sends Alexander into the turnbuckles. Alexander with an uppercut and both men are down. Gulak and Ali tag in and Ali with running forearms. Ali with a drop kick and kip up. Gulak with an Irish whip and Ali slides into the corner. Ali with a tornado DDT but Nese breaks up the cover. Alexander pushes Nese over the top rope and then he hits a plancha onto Nese. Ali goes up top for a cross body but Gulak rolls through and gets a near fall. Gulak with a clothesline but Alexander makes the tag and hits a springboard clothesline followed by Lumbar Check for the three count. After the match, Ali and Alexander stand tall as we go to replays. We see the vacant WWE Cruiserweight Title at ringside as Maverick and the announcers hype the tournament matches on this week's 205 Live episode - Kalisto vs. Lince Dorado and Hideo Itami vs. Roderick Strong. - We see Kurt Angle and Alexa Bliss backstage talking. Angle walks off to the ring as we go back to commercial. We are back and Kurt Angle makes his way to the ring. Kurt says last Sunday, history was made with the first ever Royal Rumble match. Kurt reminds us that Asuka was the winner. On February 25th, the women will make history again. Alexa Bliss will defend her title in the first Women's Elimination Chamber Match. The first opponent is Bayley. Next is Mandy Rose. The third challenger is Mickie James. The fourth challenger is Sonya Deville. The final challenger is Sasha Banks. Nia Jax will have a match at the Elimination Chamber. She will face Asuka. If Nia wins, the match at Wrestlemania will be a Triple Threat Match. Alexa Bliss makes her way to the ring and she is not happy. Alexa says this needs to stop now. She tried to be a good sport about this. This is not only wrong but unjust. Alexa says your poor decision is against company policy. The Women's Evolution means that the expectations of the men and women are the same. Kurt agrees. Alexa brings up that the Women's title is on the line in the Elimination Chamber match, but the Men's title is not. That means that Brock Lesnar gets to sit on the sidelines and watches to see who wins. Alexa wonders why doesn't she get that privilege. Is it because she is a woman? Kurt says that Brock successfully defended his title at the Royal Rumble. Kurt points out that the last time that Alexa defended the title was at TLC in December. Alexa says that Kurt makes the matches. She wants to know if Kurt values Brock Lesnar more than her. Alexa says that is sexist. 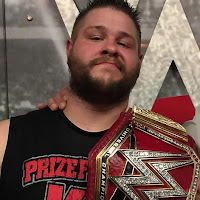 Kurt says it never occurred to him to compare Alexa to Brock. Kurt says that it seems like Alexa is trying to weasel out of this match. Kurt says he will ask the crowd if they want to see Alexa defend the title in the Elimination Chamber. Alexa says that she deserves respect and leaves the ring. 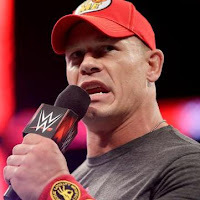 John Cena says the Road to Wrestlemania is different for everyone. How does one pave their Road to Wrestlemania. You need a plan. First qualify for Elimination Chamber. Next, improve your odds by being the last one out. He needs to beat the ghost of Eli Van Halen and the most destructive monster in the WWE. How does he do that? It is easy. - We have a video package for Asuka. We go to commercial. Back from the break and out first comes Asuka. Bayley is out next. Asuka and Bayley lock up and Bayley escapes. Asuka with a kick to the leg and a front face lock. Asuka with a take down into a reverse chin lock. Bayley with a hammer lock. Asuka with an arm bar and she takes Bayley to the mat. Bayley with a side head lock. Bayley with a shoulder tackle but Asuka stays on her feet. Bayley with a forearm but Asuka with a forearm and a take down but Bayley with a side head lock. Asuka sends Bayley into the corner and Bayley floats over. Bayley has a hip toss blocked and Asuka with a hip toss and kicks to the back. Bayley with an Irish whip and Asuka goes to the ropes but Bayley knocks Asuka to the floor. Bayley with a baseball slide into a head scissors on the floor. Asuka with a running hip attack to knock Bayley off the apron. Bayley sends Asuka into the ringside barrier. We go to commercial. We are back and Bayley with a waist lock. Asuka with an elbow to the head followed by an attempted hip attack but Bayley catches Asuka and hits a German suplex for a near fall. Bayley gets another near fall. Bayley with an elbow drop to the back and she returns to the waist lock. Asuka with forearms and a kick. Asuka with a pop up knee strike. Asuka with a series of kicks and then she hits a running hip attack and a sliding knee for a near fall. Bayley with a running knee to the head for a near fall. Bayley sends Asuka to the apron and tries for a cutter. Asuka with an Asuka Lock in the ropes but Bayley with a cutter. Bayley goes to the apron and comes off and is met with a knee to the head. Asuka gets a near fall. Asuka with kicks to Bayley but Bayley blocks a kick and gets a near fall with a jackknife cover. Asuka escapes the belly-to-belly suplex while Bayley avoids the arm bar. Bayley with a cover when Asuka goes for the Asuka Lock. Asuka with the cross arm breaker and Bayley tries to roll through but Asuka sends Bayley back to the mat and Bayley taps out. After the match, Asuka recovers first as her music hits. We go to replays. Asuka and Bayley face off in the ring and end up shaking hands before Asuka leaves. - We get a Twitter video from The Bar, recorded earlier. They're confident about retaining their titles later tonight. Still to come, Apollo Crews vs. The Miz in a Chamber qualifier. Back to commercial. We are back and Miz comes to the ring with Bo Dallas. Miz reminds everyone to be quiet when his hand goes up. He tells everyone to go outside and look at the sky because the constellation will look like this. The stars have aligned to say what he has been saying since he came back. This is the Year of the Miz. Maybe you don't believe in astrology. In his first match back, he regained the Intercontinental Title by defeating Roman Reigns at Raw 25. It was the highest rated Raw in three years and there is one reason why . . . Him. The next week, he defeated Roman Reigns again. Roman is a world class athlete. He is one of the best in the ring but he could not contend with the overwhelming tide of momentum that is ME. Miz has a little insider information. Before the Big Game, Doug Peterson showed the Eagles a video of his last match and it motivated them to win the Super Bowl. Miz says that is the kind of inspiration he is. The best is yet to come. Tonight, he will qualify for the Elimination Chamber and face the right to meet the reigning, defending, undisputed Universal Champion. 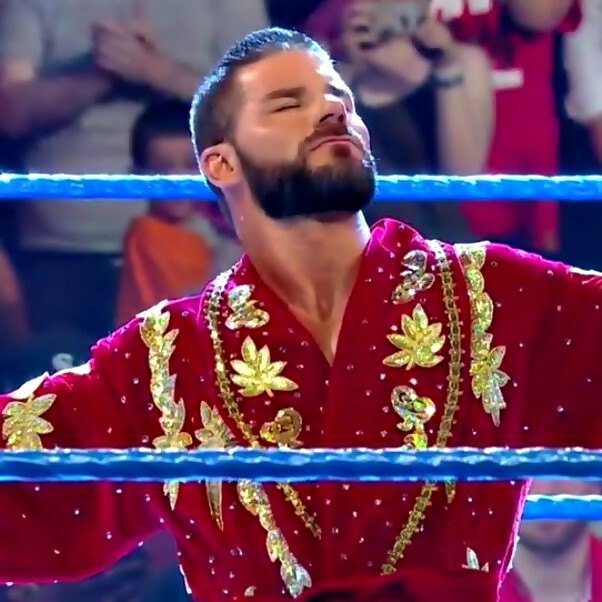 At Wrestlemania, the cameras will be rolling for his show on USA Network, the world will be watching, and his daughter will be born in time to witness the first Intercontinental and Universal Champion... ME. The music interrupts and out comes Apollo Crews with Titus O'Neil and Dana Brooke. Back to commercial. The match is joined in progress with Crews giving Miz a suplex and getting a near fall. Crews with a sunset flip for a near fall. Miz and Crews alternate near falls. Crews with a rollup for a near fall. Crews with a double leg take down and a jackknife cover for a near fall. Crews with a jumping corkscrew back elbow for a near fall. Miz goes up top and he is met with a drop kick from Crews for a near fall. Miz with a knee to the midsection. Crews presses Miz over his head and drops him behind him. Crews goes for a moonsault but Miz gets his knees up. Miz with a body scissors. Crews with a punch and flying boot to the head. Crews with a boot to the head followed by an enzuigiri and he gets a near fall. Miz lands on his feet and moves when Crews charges into the corner. Miz with an Awesome Clothesline but Crews holds on and hits a German suplex followed by a moonsault and shooting star press for a near fall. Miz kicks Crews in the knee but Crews with a rollup for a near fall. Miz drops Crews on the top rope when Crews tries to float over. Miz with the Skull Crushing Finale for the three count. After the match, Miz stands tall as Dallas joins him in the ring. They leave as Titus comes in to check on Crews. Seth Rollins approaches Kurt Angle and Jason Jordan backstage, asking what's wrong as Jordan is rubbing his neck. Jordan says he can't compete tonight. He was warming up and everything was fine until he felt something in his neck. Jordan says he went to the trainers to get checked out and they told hm he can't compete. Angle says Jordan is telling the truth. Rollins can't believe this and asks Angle what he should do as their match was next. Angle suggests he forfeit the match but Rollins doesn't like that. Roman Reigns walks up and nothing is said but he walks off with Rollins. Jordan and Angle watch them as we go back to commercial. Back from the break and out first are RAW Tag Team Champions The Bar, who aren't happy about Jason Jordan's replacement. Seth Rollins is out next to a pop. Rollins waits as Roman Reigns joins him to a mixed reactions. Rollins and Reigns hit the ring and pose in the corners as The Bar looks on upset. We get formal ring introductions from JoJo. - We take a look back at last week's Last Man Standing Match between Braun Strowman and Kane. - Braun Strowman says he was the last man standing last week against Kane. He will be the last one standing tonight. He will be the last one standing at Elimination Chamber. He will be the last one standing after beating Brock Lesnar at Wrestlemania. Nothing will stop him. We go to commercial. Nia tells Asuka that she is the only woman in the locker room who does not fear her. She is the only in the locker room she cannot beat. She will mess up Asuka's face so bad that she will need to wear that mask permanently. When she is done, you will not be the Empress of Tomorrow, you will be the Empress of Yesterday. We go to commercial. After the match, Absolution hits the ring as Paige barks orders while Mandy and Sonya double team Mickie. RAW Women's Champion Alexa Bliss runs down and pulls Mickie out of the ring to safety. No one can figure out why Bliss has made the save for Mickie. Bliss helps a confused Mickie up the ramp as Absolution looks on from the ring. - We see Elias backstage with his guitar. Back to commercial. 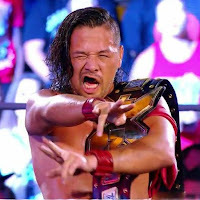 - Back from commercial and we are told that Finn Balor, Bray Wyatt, Matt Hardy, and Apollo Crews will have a chance next week to see who is the sixth man in the Elimination Chamber Match. Elias calls Des Moines a no name town. He says it is his first time performing here and he says it is upsetting because he normally flies over small towns like this looking for something better. Elias says the Elimination Chamber is on the way and when he beats John Cena and Braun Strowman, he will have the final entrance at the Elimination Chamber. Then he will give the greatest performance on the biggest stage at Wrestlemania. Elias says soon all things WWE will be his because WWE stands for Walk With Elias. Elias says he turned down the Super Bowl halftime show to be in this god forsaken wasteland. Elias says this song is for him so he can escape Des Moines. Cena hits the ring to determine who will make their entrance last at #6 in the Elimination Chamber match. Braun Strowman is out last. After the bell, Elias stands tall but Braun immediately hits the ring and slams him. Braun isn't done as he delivers another running powerslam to Cena. Fans chant "one more time" as Braun stands tall while Cena and Elias are both down. Braun scoops Elias and powerslams him in the middle of the ring. We get replays and see Braun standing tall with the WrestleMania 34 sign hanging high. Braun's music has stopped but he hits the corners to pose and the fans want more. Braun gives them what they want and delivers another running powerslam to Cena in the middle of the ring. Braun leaves the ring and brings Elias back in. Braun scoops Elias and delivers one more running powerslam. Braun's music hits again as he leaves the ring. RAW goes off the air with Cena and Elias down in the ring.